Up to 10% discount on hotel bookings with Expedia & Agoda. Enjoy exclusive discounts and promotions when you stay, dine or play at Resorts World Sentosa. Enjoy exclusive golfing privileges such as the PGA TOUR Player Experience at selected TPC® Properties across the United States. Savour the best dining privileges with unique seasonal curated menu by avant-garde visionaries and legendary Michelin-starred chefs. Enjoy a free Uber ride of up to S$20. 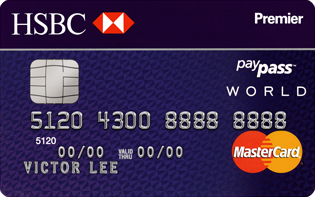 Exclusively for HSBC Premier customers.